As you can probably tell by the above picture, these items in no way make an outfit! I actually chose them to be statement pieces to go with items that are already in my wardrobe. This way I'll have so many more looks to style for you! I absolutely adore this piece! This polyester turtleneck is perfect for the summer to autumn (and then to winter) transitional period. I love how it's slightly oversized and therefore leaves room for it to be a bit airy, yet the long sleeves and turtleneck make it perfect for the colder weather as well. I can't wait to pair this with light blue ripped denim jeans and some black ankle boots! The sweater only comes in one size so I'm intrigued to see whether it will be nicely oversized or really huge on (as I'm a UK 6-8). I will definitely be keeping you all updated! You can find more information about this product here! 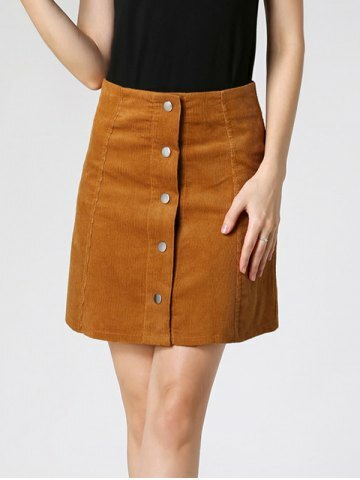 This classic style of skirt has been back on trend for what feels like forever, yet I still haven't got around to purchasing myself one! I'm a bit nervous to see whether this will fit as I ordered a size small, only to realise that that is an equivalent to a UK 4 - waaay too small for me! However, I'm remaining optimistic as sizes and size charts themselves often sway slightly from the truth (I've found in my experience). The colour of the skirt is such a classic tone that I know I'll be wearing with a lot of black pieces, such as a simple long sleeved turtle neck, a duster coat, and tights. You can find more information about this product here! At just fifty-two cents I had to try out this cute little temporary tattoo. I've been seeing so many floral water colour tattoos on Pinterest that I decided to give this one a go first instead of committing to the real thing. The design is so simple, yet beautifully feminine. I plan to place it on my wrist and see how long it lasts. You can find more information about this product here! I can't wait to receive these products from Rosegal and update you all with a review post and styling images. Have any of you purchased anything from Rosegal before? What was your experience like? Let me know in the comments, I love to hear from you all! The blouse from the first picture with open-back is so beautiful! Omg I was looking for your blog like forever and when I saw your comment on my blog I was so happy.I followed you since your last blog that was amazing like this one! Love the skirt so much! And the photograph is so beautiful. They look divine, very classy! Can't wait to see you style the pieces when they come. Seems like a cool selection. I love the look of everything you picked out! Loved the clothes you chose! I'm totally looking forward to see the outfits you're going to make! I love the pieces you've picked out! They are so pretty! This sweater.... on my list for winter! Loved the review .. 💗 can you pls tell that how can I collaborate with rosegal I am a blogger as well..